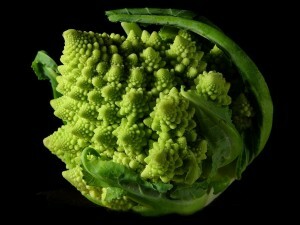 Heal Your Puzzle » Blog Archive » What is a Fractal? And what has it got to do with Healing? What is a Fractal? And what has it got to do with Healing? In simple terms, it is a pattern which looks the same wherever you look at it and however far you zoom in or zoom out. This is shown wonderfully in this photo of broccoli where each small spiral can clearly be seen and how it is part of the larger spiral pattern. Another interesting attribute of fractals, when generated by computational maths models, is that if you change the pattern in one minute area, the whole pattern updates throughout its structure. What have Fractals got to do with Healing? I have talked before about how each of us has a subtle (quantum) energy field and fractals are a useful way to model how our individual fields interconnect with those of others and of humanity as a whole just like the fractal pattern of the broccoli above. The ‘whole broccoli’ represents the One-ness of humanity holding all information and every possible definition of what it is to be human; each of the smaller spirals would be one country’s subtle field and within each would be those of counties/towns/states/communities. As you zoom in further, eventually there would be a spiral representing you. I hope that thinking about this model helps you understand how each of us has a part to play in humanity’s evolution because as you grow within yourself, by healing out-dated patterns of behaviour or by understanding or discovering something new, you are updating your own ‘spiral fractal pattern’, and as you update, the Whole Broccoli updates! So in 2012, if you wish for things to be different, “Be the change you want to see in the World” (Mahatma Gandhi).